After Brad Pitt attended Jennifer Aniston’s 50th birthday, gossip outlets have been quick to point out that the two are trying to rekindle their past romance. As such, it’s being reported that Angelina Jolie is trying to cope with this new development by indulging herself with alcohol. According to National Enquirer (via Gossip Cop), the “Maleficent” star has been “hitting the bottle” recently after news broke out that Brad Pitt and Jennifer Aniston have indeed reunited. However, other reliable publications report that the meetup wasn’t anything romantic. 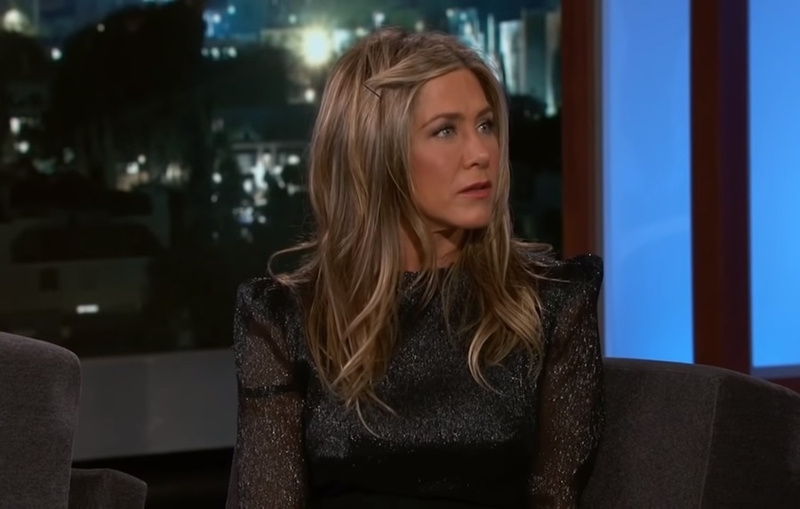 In fact, an insider of PEOPLE reported that Jennifer Aniston didn’t particularly pay any special attention to Brad Pitt during the celebration as she wanted to attend to her other guests. But National Enquirer maintains that there is something brewing between Brad Pitt and Jennifer Aniston, which is allegedly got Angelina Jolie riled up. Of course, given that National Enquirer has a reputation for spinning fabricated stories, it’s best to take their word with a grain of salt. This is the same publication that wrote a piece earlier this month claiming that Angelina Jolie will be relocating her children to New York to spite Brad Pitt. That proved to be widely off the mark since the actress would likely lose primary custody of the kids should she pull such a stunt. Another false article that National Enquirer wrote was published last August where it touted that Jolie is coming after Pitt due to the “Troy” actor reuniting with Jennifer Aniston. And although the ex-couple did meet recently, Jolie hasn’t made any moves that would suggest she’s “coming after” her ex-husband. There’s also the fact that Brad Pitt and Jennifer Aniston reuniting is an unlikely scenario if both the stars’ previous statements are anything to go by. “I don’t feel a void. I really don’t,” Jennifer Aniston said about her previous relationships. “My marriages, they’ve been very successful, in [my] personal opinion. And when they came to an end, it was a choice that was made because we chose to be happy, and sometimes happiness doesn’t exist within that arrangement anymore.” As for Brad Pitt, he previously said that he felt he was wasting his career at some point during his life, possibly during his marriage with Aniston, Nick Swift reported.